Can you get benefits if caring for an elderly parent in UK? Caring for a relative could be emotionally and physically challenging, but it shouldn’t be a financial burden. If you’re doing right by your elderly parent, what financial aid can you expect to receive? We’ve got the lowdown on Carer’s Allowance, the state benefits allowance for caring for an elderly parent in the UK. 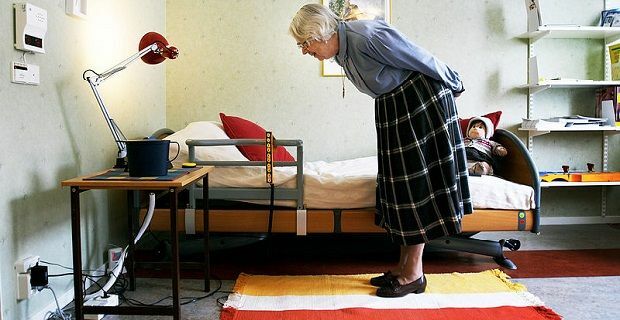 This is the main state benefit for those who care for elderly relatives. As with all other benefits, it’s not just handed out, you need to meet some qualifying criteria and you have to apply to get your hands on the money. You must be over 16 years old and you have to be looking after someone for at least 35 hours a week. The person you’re looking after has to be receiving a qualifying disability benefit, and if you’re working you can’t be earning more than £100 a week. You must not be in full-time education and you must be living in the UK when you claim the benefit. There are certain other benefits that you shouldn’t be receiving in order to qualify, but your savings aren’t taken into consideration. If you are qualified for the benefit, you can expect to receive £61.35 a week. Before you can receive the benefit, you have to complete the application process. The form is completed online. It’s found at gov.uk/apply-carers-allowance. When you attempt the form, you’ll need your National Insurance number, previous address details, bank and building society information and details of any benefits you already receive. Visit gov.uk for a full breakdown of the criteria. As this is also the place to visit to find the online form, you’ll probably be heading there already. Another site that’s full of details about the benefit is nhs.uk/CarersDirect. The NHS site also lists a contact number, if you’d rather speak to someone about the benefit before completing the application form.